With the help of its new Diamant MC 60, sales have jumped at Print Best, located in the small Estonian town of Viljandi. Thanks to the new Muller Martini hardcover system, productivity during the machine’s first year of operations more than doubled. The comprehensive bookline with a Collibri backgluing machine, RPM roller pressing machine, Solit three-knife trimmer, ribbon inserting machine and BLSD 650 book stacker, replaced a previous model that had absolutely no spare capacity and was a bit long in the tooth. With the company’s first ever investment in a Muller Martini solution, Print Best, which employs 110 people and generates around 70% of its revenues from book production, is leaving all of its options for future growth open. Thanks to much shorter make-ready times, the new bookline really displays its strengths in the lower print run segment, but Print Best can print even long runs much more efficiently now. “Of the reasons we chose the Diamant MC 60 were the convincing tests in Muller Martini’s hardcover forum in Bad Mergentheim,” says Tanel Venderström about the evaluation process, which was not easy for the CEO and his team. Thanks to much shorter make-ready times, the new bookline really displays its strengths in the lower print run segment. But Print Best can print even long runs much more efficiently now, as the cycle of the Diamant MC 60 is two-thirds faster and it almost always runs at maximum speed. Another strong argument in favor of Muller Martini was the flexibility the hardcover line offered. 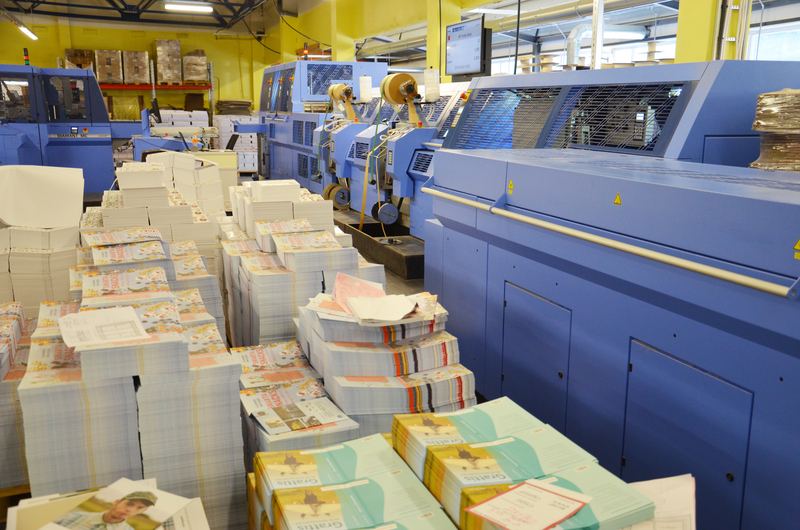 The print runs of books printed using offset printing technology vary significantly, ranging from 200 to 160,000 copies per job, with most orders in the range of 2,000 to 5,000 copies. With its investment, the company, which was founded in 1997, further strengthened its position as a reliable partner to publishing companies that sell what are often high-quality four-color books on topics such as art, cooking and travel.